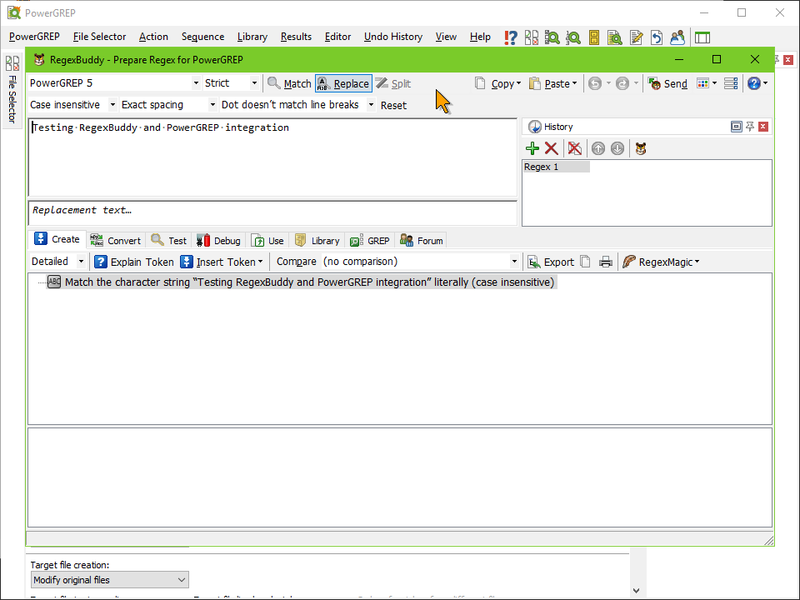 See how RegexBuddy conveniently integrates with PowerGREP, our top-of-the-line Windows grep tool. Programmers can tightly integrate RegexBuddy with their applications. End users can add integration to applications that allow a command line to be provided to run other applications.